Zoiper is a FREE IAX and SIP softphone application for voip calls over 3G or WiFi. There are NO ADVERTISEMENTS.Zoiper softphone offers a simple user interface and superb audio quality for smooth Voice over IP experience.Available for both SIP and IAX systems, Zoiper is a phone solution perfectly fit for end users, service providers, call centers or any business willing to benefit from VoIP communications.Want to distribute it to your users ? Use the free automatic provisioning system on http://oem.zoiper.com and avoid tedious manual configurations!.IMPORTANT: Zoiper softphone is a standalone client-side software VOIP phone application and is not bundled together with a voip service. 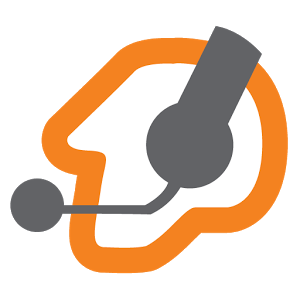 To make and receive voip calls using Zoiper, you must subscribe to any SIP or IAX based service provider across the globe.Zoiper's key features include:- Bluetooth support (beta)- Excellent audio quality, even on older devices- Intelligent Latency Reduction- Supports calling over 3G and WIFI- Multiprotocol with SIP and IAX support, compatible with all RFCcompliant PBXs- Background / multitasking support- Native dialer integration- Integration with the native android contact list- Speakerphone mute and hold- UDP and TCP transports (use TCP for better battery life! )- Supports g711 (ulaw, alaw), speex, iLBC and gsm codecs- Supports sending of DTMF- DNS SRV- Built-in echo cancellation- STUN support- Change ringtone per accountZoiper is also available as customized branding solutions, please contact us for more information.- devices that are not compatible yet:Samsung Galaxy Pocket S5300Motorola RazrWarning: using Zoiper as a default dialer may interfere with dialing 911 emergency services.If zoiper does not work with your phone, please contact us at support@zoiper.com and we will try to support your phone in future versions.